Dirty and dusty air duct systems have been found to contribute to allergy symptoms and aggravate health problems that could easily be reduced or alleviated through regular cleaning of your air duct systems. The surfaces of your ducts or other components of your heating and cooling system have a substantial amount of visible mold on them. An air duct cleaning service may be able to show you this mold, if it is present. You have rodents, insects, or other vermin infesting your ducts. The ducts are clogged with dust and debris. Dust or debris is being released into your home through your system’s air supply registers. 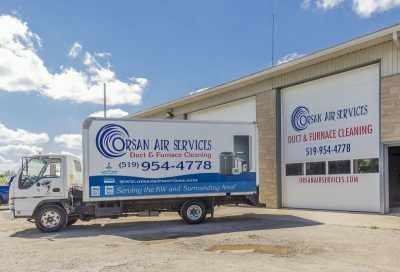 Orsan Air Services has professional air duct cleaning technicians who are leaders in providing quality air duct cleaning and outstanding customer service. We look forward to providing you with professional duct cleaning and a cleaner, healthier environment. Experience the difference for yourself!